Breaks 7+ million download players in the world. Thank you! Chosen by Apple Rewind 2011 and Apple Rewind 2010. Painting smoothly and speedy with pleasing senses. 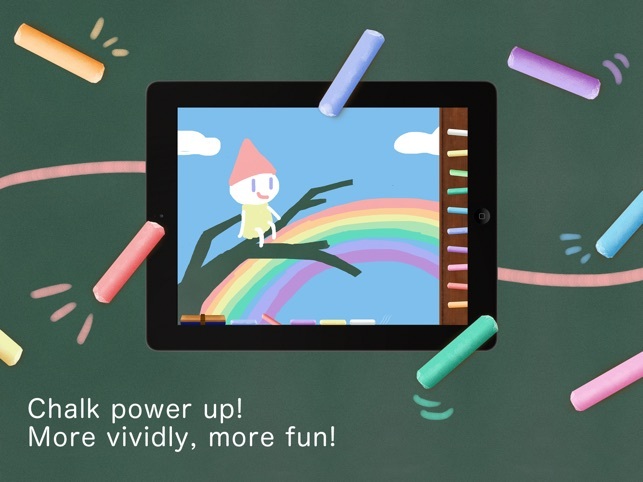 Record the real sound for chalkboard. 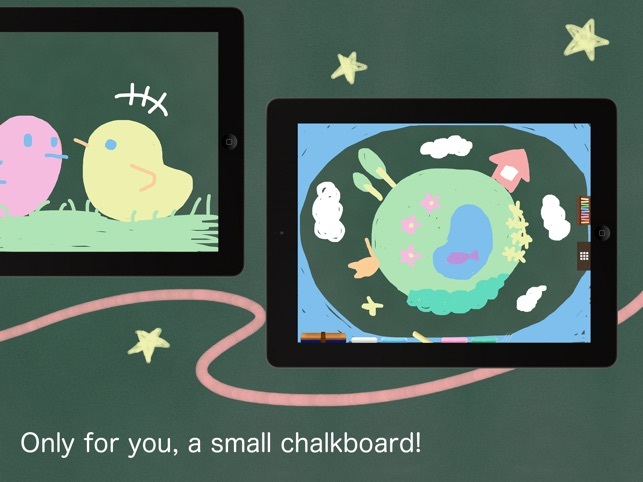 You can send your pictures to your Email from the Chalkboard App. 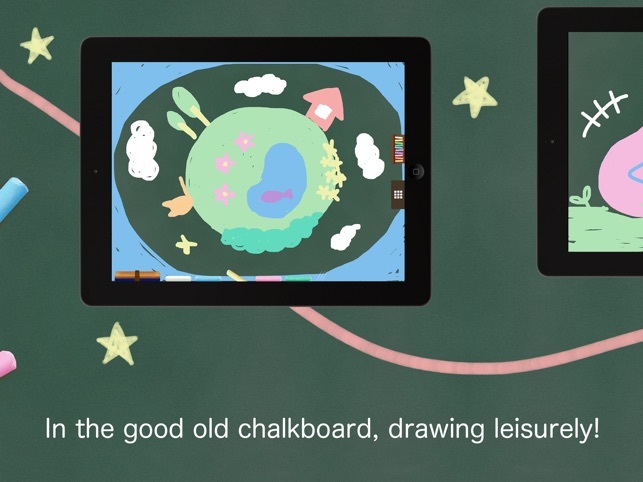 You can draw the same picture with other people who also have a Chalkboard App. 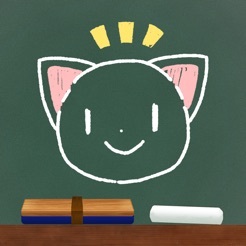 You can post your pictures to Picture Collection Zone you drew on Chalkboard. In Picture Collection Zone you are rank pictures with five star ranks. 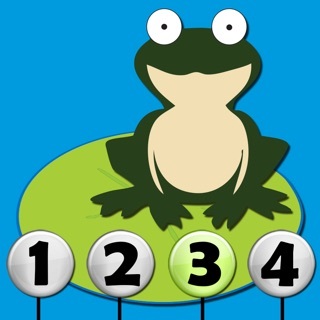 Ranking based on user comment. You can re-edit your picture even after you posted them. 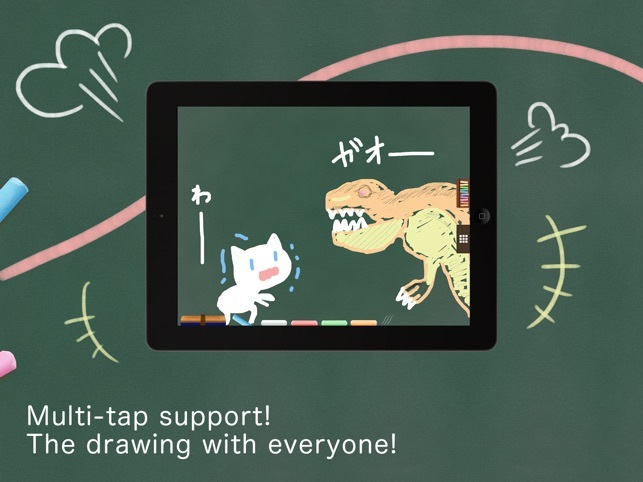 You can draw a picture on a same iPad with many people in a same time. It is easy to share your pictures on Twitter. You can start again even you end your App. Save your pictures to your album. So handy for a quick note or reminder! And the different colored chalk really helps differentiate between notes. I use it often. One thing that would make it better? 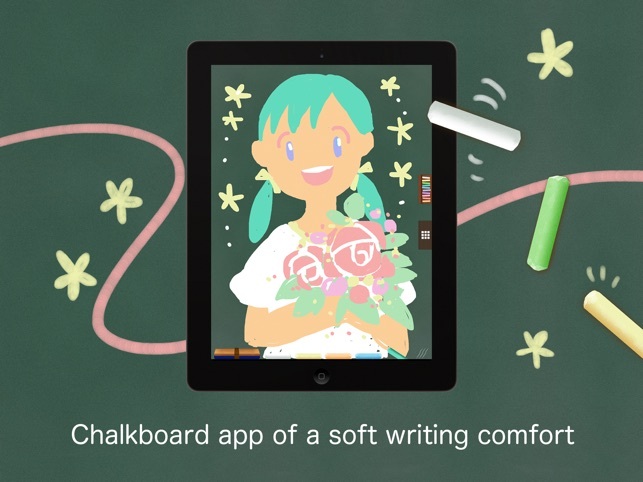 The ability to have multiple pages of the chalkboard ... like a chalkboard notebook. Thanks! 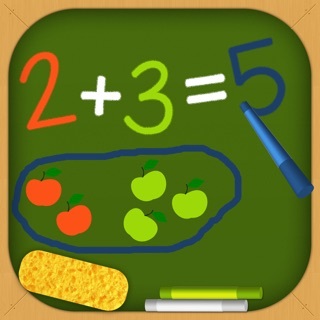 This white board app is super adaptive to touch. 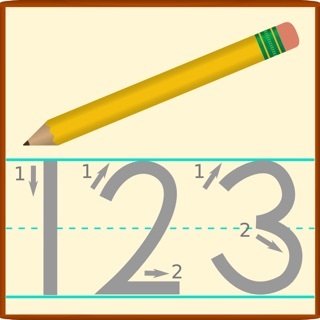 So useful when you want to want to learn new vocabularies, draw pictures, or among other things. This app is like a diamond that is hidden in the dirt. Super highly recommended!!! I have had this one for a while very handy in taking notes. Use it before any other app.